Both leaf margins of Haemanthus crispus are waved. There are two possibilities of the waving. One is autonomous waving with regular changes of growth activity at the margins. The other is that the waving is passive and the waves of a previous leaf make pressure to a next primordium to form new waves. An example similar to the latter pattern is observed in Elymus tsukushiensis var. transiens. 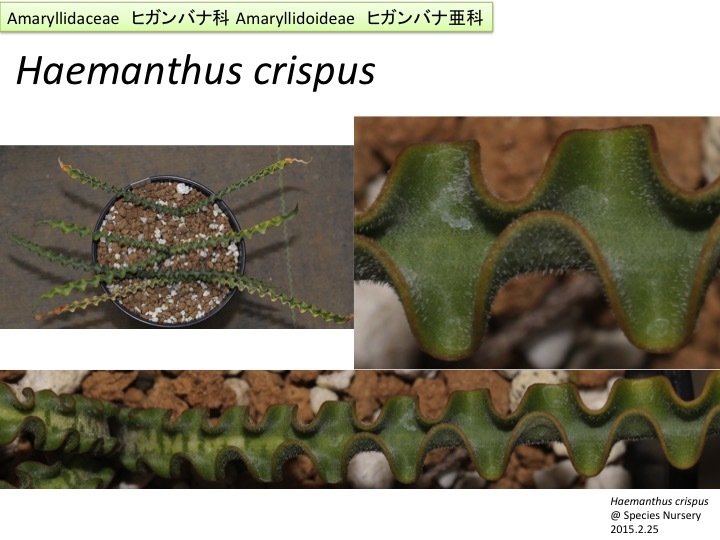 A part of leaves is contracted in E. tsukushiensis var. transiens, since the junction between a leaf blade and a leaf sheath presses a middle part of one upper leaf primordium (Kumazawa 1979). Observation of early leaf primordia of Haemanthus crispus will give an answer. 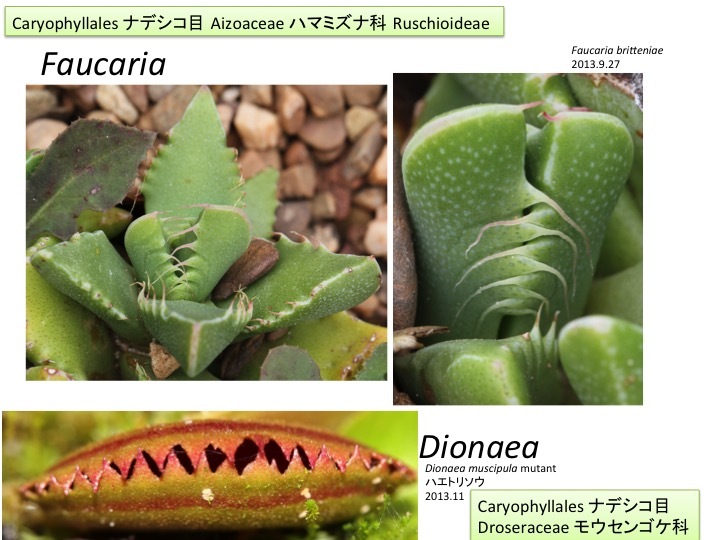 Another possible examples in which interactions to other organs may result in morphogenesis are found in Faucaria and Dionaea. Protrusions of opposite leaves in Faucaria and spines of right and left margins of a leaf of Dionae are interdigitated.